An ace(r) time to visit! 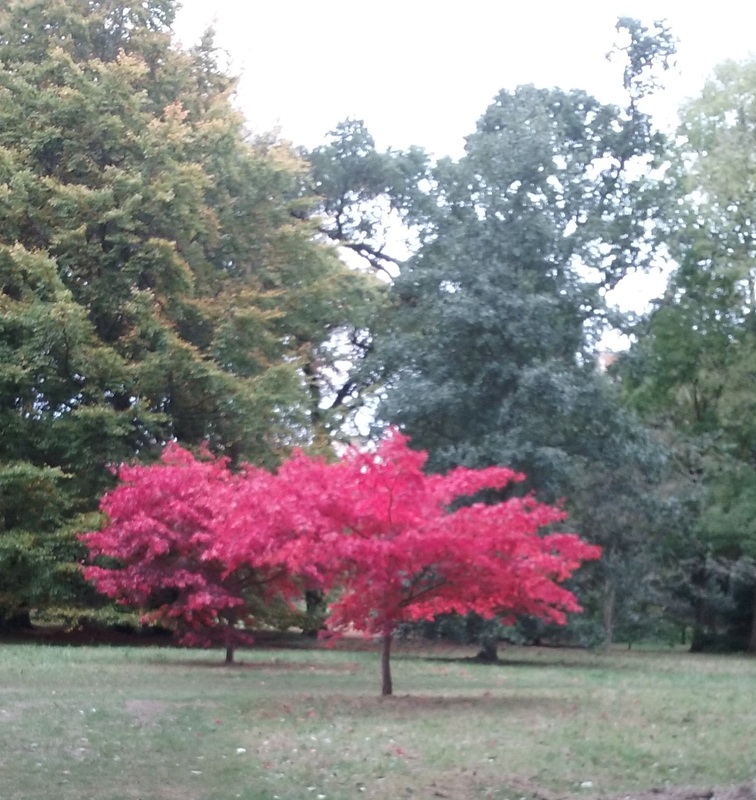 Sorry for the awful pun, but now is a brilliant time to visit Thorp Perrow Arboretum near Bedale as the acers are a fabulous blaze of colour as well as many other trees which are also looking wonderful. 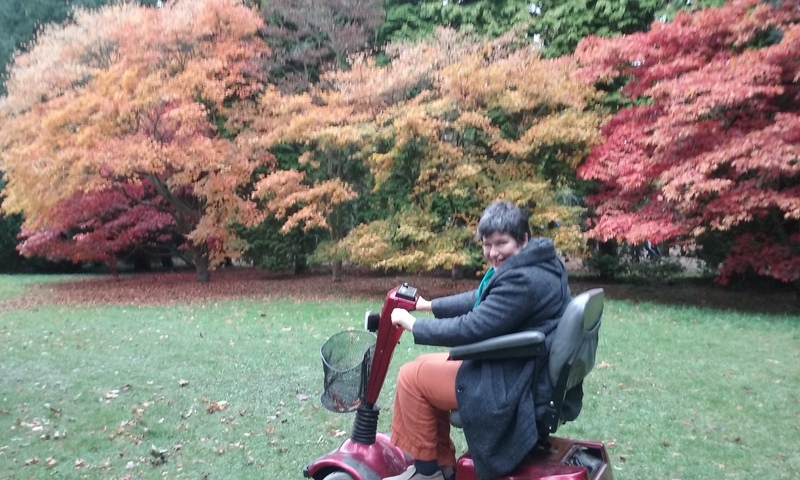 We hired a scooter (for £1), the ‘off-road’ type and they give you a map which shows the wheelchair accessible paths. I would imagine pushing someone round might be rather hard work as there are no smooth paths and in fact some were really bumpy, but most are either grass or fine gravel. It can get muddy so it’s best to after a dry spell. 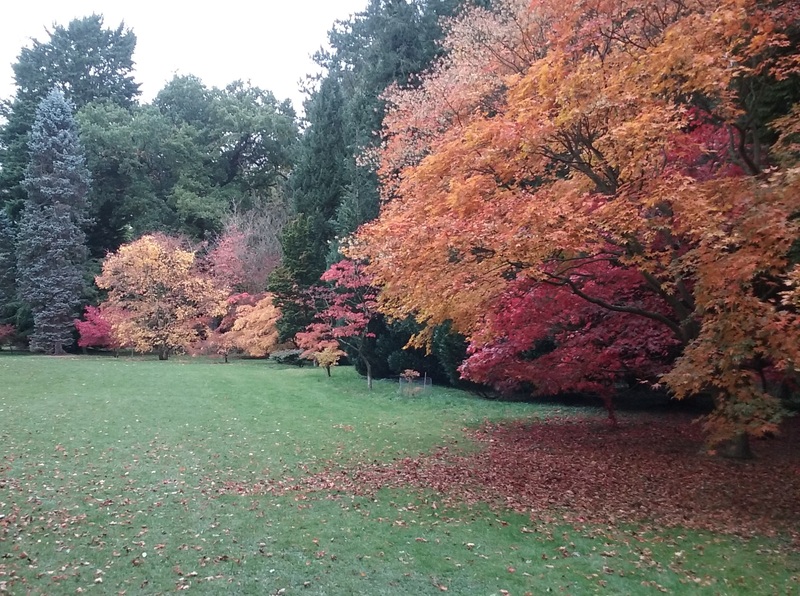 We had forgotten it was half term and there were Hallowe’en things going on and the place was packed but there were also lots of people who were there to admire the trees – as you can see from the photos, it didn’t spoil the views. Even the ones in the carpark looked great! Despite it being busy, we and the friends we were meeting managed to snaffle an outdoor table – it was just mild enough – and there was still plenty of choice of cakes! Loos including spacious accessible ones are available at the café and the bird of prey centre. The staff were really busy but were pleasant and helpful – as we left, someone came with us to bring the scooter back from the car. 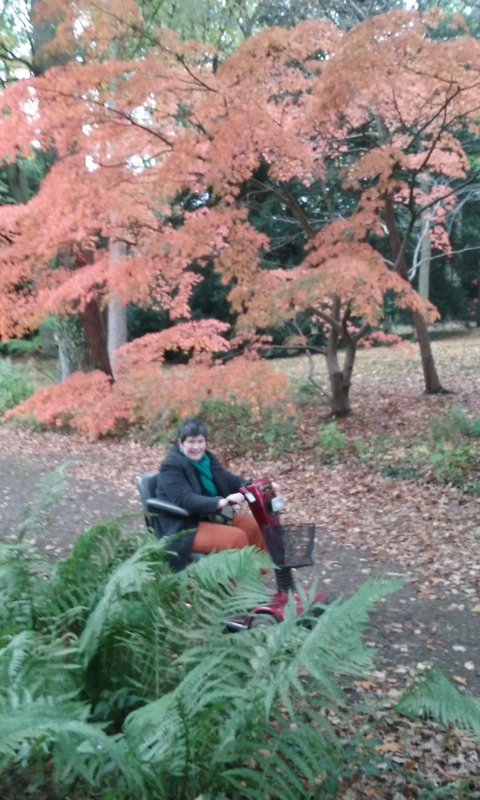 We’ve always visited Thorp Perrow in spring before to see the bluebells but an Autumn visit is definitely worth it too. Roundhay Park, Temple Newsam and Golden Acre in Leeds, Fountains Abbey, Ripon and Thorp Perrow near Bedale will soon be looking spectacular! Well done The Outdoor Guide! 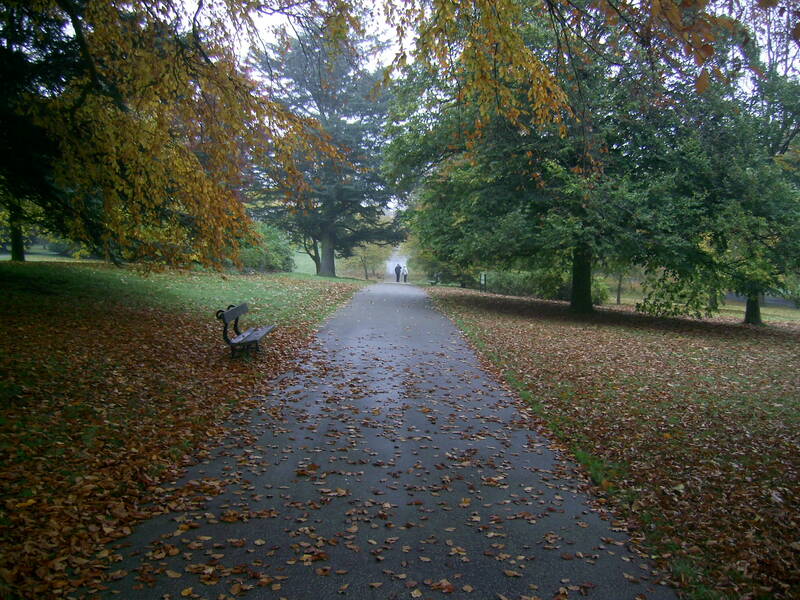 Amongst the places reviewed on The Outdoor Guide are wheel-friendly walks and wheel-friendly places to stay – places everyone can enjoy! More please!